A gun consists of many different parts, most of which are customizable up to its user. Among them, the barrel is one of the most helpful parts of a gun. It is a critical element to define the accuracy of the weapon. However, besides its advantages, a standard barrel has some specific limitations that can affect the performance. To improve those issues, using a bull barrel is a good solution. So what is a bull barrel and what benefits does it bring? Let’s check out! 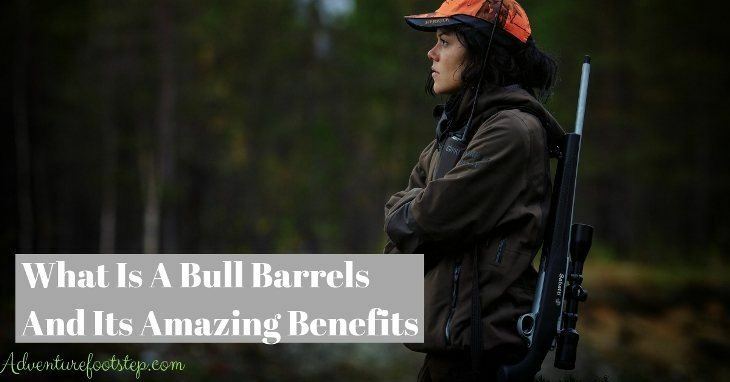 What are The Benefits of a Bull Barrel? A barrel is a cylindrical tube made of metal, through which the bullet goes when you shoot the gun. It is a customizable part, allowing bullets to come out the muzzle in a relatively accurate line. Generally, the operating condition in a barrel is harsh. When the gun is firing, it is in an extremely high temperature and pressure environment. The barrel will undergo a period of expansion and turbulence. A well made and stably rifled barrel will make it easy to control the vibration and decrease the effects on the accuracy. Besides the barrel’s quality, there are external factors that may affect the vibration of the barrel when shooting such as the grip of the hand, the thermal expansion and the support of the stand, etc. If the barrel cannot absorb the vibrations, the shots become uncontrollable and irregular. Using a bull barrel is an efficient way to solve this issue and increase the accuracy. Bull barrels are a type of barrel, which is designed to improve accuracy. The primary difference between a bull barrel and a standard one is the thickness. There is extra weight that makes a bull barrel much heavier. In general, bull barrels and heavy barrels are the same. We can use these terms exchangeably. One more thing to remember is that there is no standard size or specification for a bull barrel. Thanks to its thickness, a bull barrel absorbs heat much better than a standard one. While it takes few shots to heat a thin barrel, a bull barrel can maintain the temperature longer. It helps limit the inaccuracy the heat may cause when shooting. As you may know, metal expands when getting heated, affecting the trajectory of the bullets when getting out. Since the muzzle of the gun gets slightly more extensive, it may change the dimensions of the bullets and decrease consistency from shot to shot. Meanwhile, a bull barrel requires more shots before getting significantly hot. Therefore, a bull barrel can effectively restrict the effect on accuracy that a heated barrel brings. Suppressing the vibration is another benefit of a bull barrel, which is associated with its weight. The more weight one thing is, the more force it requires to move it. This means using a bull barrel will make the gun vibrate less and more than that, reduce the recoil. The extra metal part makes the barrel stiffer and therefore, more or less, absorb the vibrations. 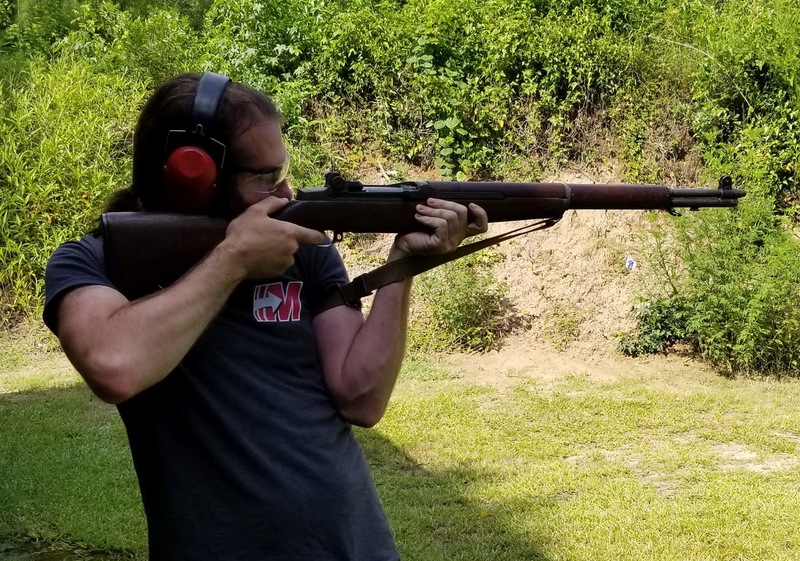 Not being prone to vibration keeps the rifle still and prevents bullets from changing dimensions, making the shots more accurately and consistently. Unlike standard barrels, being both heavy and stiff, it is more difficult for a bull barrel to get damaged such as a warp or dent. As a result, it is easier to maintain a bull barrel than a standard one. The accuracy of a gun depends on the way the bullets comes out of the barrel. If every bullet comes out consistently, it means the gun has high accuracy. This case only happens if the barrel does not expand so fast due to heat and there is hardly any vibration. Since bull barrel eliminates these two main factors, it generally makes the gun more accurate. However, to bring the best effects, the bull barrel has to be well made and carefully riffled. The bull barrel is an excellent choice for those who feel more confident when shooting with the offhand position. Thanks to its heaviness, the bull barrel keeps the balance point of the rifle toward the muzzle. Since your muscles are not very active, you would think a bull barrel will make you wobble. However, the extra weight, on the contrary, makes it easier to balance the trajectory of the bullets. 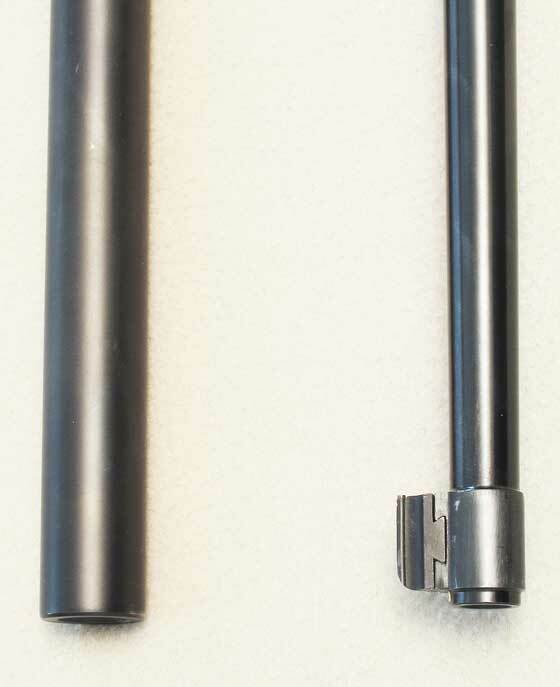 Stiffer barrels whip less during launch, resulting in less deviation of the bullet's position. The barrel whip I mentioned is not something you can see. It is tiny and is the result of harmonics. In short, bull barrel looks neat and add some weight to the rifle that can enhance the offhand shots. One more benefit of a heavy barrel is that it reduces the amount of recoil. Heavy barrel makes it easy to keep itself down since it would take more force to move a bull barrel up. This feature will lower recoil, which facilitates continuous shooting. This kind of barrel also automatically enhances fast shots. Airguns often have bull barrels. The damping effect of them is the same as that of regular firearms. 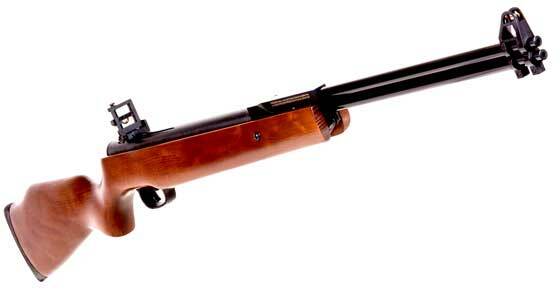 However, airgun does not require heat dissipation because it does not generate heat when firing. Some bull buckets are designed with pipes to help eliminate some weight while remaining stiff. The flute is a groove that cuts into the barrel and removes some metal. However, the barrel is still thicker and stronger than a typical one. Not every barrel needs to have flutes. Also, some bull barrels are made of plastic, but this is mainly for its external performance. Plastic does not add extra weight even if it makes the barrel thicker. However, a good bull bucket should be a metal one. Some gun manufacturers are covering thin steel drums with thick plastic casings and calling them bull barrels. However, they lack the benefits of a real bull barrel, though their shooting effect may be better than when using a thin steel pipe because plastic will weaken the vibration mode to some extent. But they are not bull buckets. Because heavy barrels can suppress harmonic vibrations of the barrel and improve accuracy, these harmonics are scarcely present in small annular calibers. In short, a bull barrel is just a barrel that is thicker and heavier than a standard one, suitable for any particular gun without requiring any specific technical specifications. If you want a gun with high accuracy, less recoil, and limited vibration, or want to try offhand shooting, then use a bull barrel. You will not get disappointed with the fantastic benefits it brings. But in case you do not need the above advantages, then you might want to cut down on weight and use a typical model instead of choosing a bull barrel. I hope this article is useful to you!